Evaporation, not outflow, drained ancient Lake Agassiz during the Younger Dryas | Watts Up With That? What caused water levels to drop in an immense yet long-vanished lake? Research by a University of Cincinnati geologist suggests that conditions 12,000 years ago encouraged evaporation. Not long ago, geologically speaking, a now-vanished lake covered a huge expanse of today’s Canadian prairie. As big as Hudson Bay, the lake was fed by melting glaciers as they receded at the end of the last ice age. At its largest, Glacial Lake Agassiz, as it is known, covered most of the Canadian province of Manitoba, plus a good part of western Ontario. A southern arm straddled the Minnesota-North Dakota border. Although Lake Agassiz is gone, questions about its origin and disappearance remain. Answers to those questions may provide clues to our future climate. One question involves Lake Agassiz’ role in a thousand-year cold snap known as the Younger Dryas. 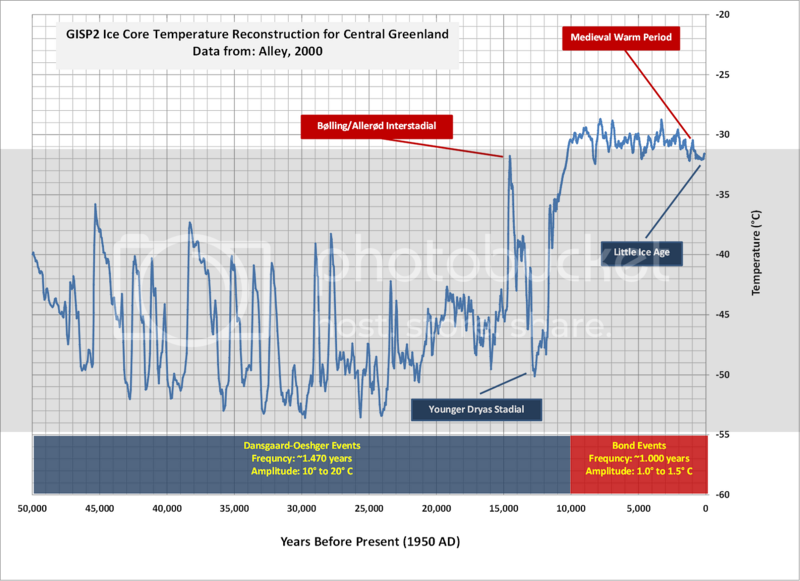 As the last ice age ended, thousands of years of warming temperatures were interrupted by an abrupt shift to cold. Tundra conditions expanded southward, to cover the land exposed as the forests retreated. This colder climate is marked in the fossil record by a flowering plant known as Dryas, which gives the period its name. Scientists noted that the Younger Dryas cold spell seemed to coincide with lower water levels in Lake Agassiz. Had the lake drained? And, if so, had the fresh water of the lake caused this climate change by disrupting ocean currents? This is the view of many scientists, Lowell said. Lowell investigated a long-standing mystery involving Lake Agassiz – a significant drop in water level known as the Moorhead Low. It has long been believed that the Moorehead Low when water drained from Lake Agassiz through a new drainage pathway. Could this drainage have flowed through the St. Lawrence Seaway into the North Atlantic Ocean? “The most common hypothesis for catastrophic lowering is a change in drainage pathways,” Lowell said. The problem is, better dating of lake levels and associated organic materials do not support a rapid outflow at the right time. “An alternative explanation is needed,” he said. Lowell’s research shows that, although water levels did drop, the surface area of the lake increased more than seven-fold at the same time. His research suggests that the lower water levels were caused by increased evaporation, not outflow. While the melting glacier produced a lot of water, Lowell notes that the Moorhead Low was roughly contemporaneous with the Younger Dryas cold interval, when the atmosphere was drier and there was increased solar radiation. Further research will attempt a clearer picture of this ancient episode, but researchers will have to incorporate various factors including humidity, yearly duration of lake ice, annual temperature, and a better understanding of how and where meltwater flowed from the receding glaciers. Lowell’s efforts to understand changes in ancient climates have taken him from Alaska to Peru, throughout northern Canada and Greenland. Evidence of prehistoric environments are recorded in cores collected around the world. In Greenland, Lowell and a team of graduate students pulled cores of sediment from lakes that are still ice-covered for most of the year. Buried in those sediments are clues to long-ago climate. Lowell’s research was initially funded by the Comer Foundation. In recent years, the National Science Foundation has provided funding for this work. When the Geological Society of America meets this year the University of Cincinnati will be well represented, with more than two dozen papers and presentations. Topics range from ice-age climate to the health effects of corrosion in drinking water pipes. Lowell extracts information from core samples in his University of Cincinnati laboratory. See, the science is settled. Clearly the lake was destroyed by soccer moms driving their SUV’s. Stop the madness. What? Younger Dryas you say? Ummm my name is not Dryas and I don’t have a little brother. You are clearly a mouthpiece for big oil, you should be ashamed of yourself. Eh? 12,000 years ago? Well, of course this disaster happend then, Al Gore was not there to save those poor people. Just think about how much worse it would have been if western civilization had been around to destroy the environment then. Those were the days. If this is truly the case, the mystery still remains as to what shut down the AMOC, and brought about the Younger Dryas period. Very interesting! I had read that the outflow of Lake Agassiz as cause of the Younger Dryas was already problematic, as no outflow path of the right period for huge quantities in short time were found into the North Atlantic via the Hudson Bay or elsewhere. Remains the still open question what caused the Younger Dryas. I thought the lake drained south out of White Rock and ended up in the gulf. I live in the area and so this is a very Interesting article. I’m not a quick study, but how does one lower water levels and increase the surface area by 7, isostatic tilting? As a multi-kilometer thick ice cap melts away, the land rebounds significantly. This pushes the water around and any damming structures (terminal moraines, eskers or other fluvio-glacial deposits) can be circumvented or even washed away. The increase in area is understandable as flooding low-lying areas that were in the process of rebounding would further the process. It must have been one heck of a time to observe nature. I’ve been a fan of Lake Agassiz since growing up in Minnesota. I actually find the whole idea of evaporation hard to grasp. The only present day equivalent I can think of is the Aral Sea, and it has been caused by humanoids! You are assuming that the shutting of the AMOC caused the Younger Dryas. It was my understanding that the AMOC shutdown is/was a proposed trigger for the Younger Dryas rather than a proven event for which the emptying of Lake Agassiz was proposed as a contributing cause. I suspect that Lowell’s paper will not be universally embraced and that his reference to the need for additional research is warranted. Interesting theories are proposed and rejected as the key elements of those theories are tested and fail. Science plods on. Each study adding to or subtracting from our common understanding of how the world works. Land rebounds – surely – isostatically. But, I thought – slowly. The island of Great Britain – England Scotland and wales, is still rebonding – I understand – and levelling out [North end up, South end down], per my school history/geography. london is going down – hence the Thames Barrier. Crustal rebound would answer that question nicely. The Glacier melted and the depressed rock basin formed by the glacer filled with water, then as the crust rebounded as the ice load disappeared, and the water evaporated the depression would get more and more shallow but the water would spread out creating more surface area and faster evaporation. More water evaporates, more load is removed from the crust it rebounds more etc. etc. So the mid latitude jets shifted equatorward leaving the area concerned under drier polar high pressure cells from a strongly negative AO and / or contracting equatorial air masses from cooler ocean surfaces. Most likely both as the negative AO increased global cloudiness and reduced solar input to the oceans. Why not make the intuitive leap to latitudinally shifting climate zones as the regulatory process achieving a relatively stable global temperature for some 4.5 billion years ? Such shifting climate zones represent changes in the speed and/or volume of the water cycle exerting a negative system response to any forcing whether it be an internal system forcing or an external solar forcing. In which Ocean? Lake Agassiz is a long way from any ocean. Whatever it was, it ran amoc. It sure wasn’t anthropogenic…..
One way or the other, the water must have ended flowing through the St-Laurence and the Hudson Bay anyway… when water evaporates is snows or rains somewhere down East. My geology is a bit rusty, but would not all that glacial melt include a lot of clastics that would help fill-up the lake? Also is not the natural progression lake=>swamp=>water meadow=>prairie? It is believed that at its higher water level points, the lake drained into the Glacial River Warren, now the Minnesota River. Evidence for this is the massive river valley that the relatively small Minnesota river lies in. We also have evidence near Bemidji (roughly at the northernmost point of the Mississippi River in north central MN and about 30 miles south of the old lake shore) that there were massive outflows.. though not necessarily from Agassiz. There is a tiny creek, Kabekona Creek, that lies in a huge river valley that would seem more akin to the Mississippi River than a small creek that you could probably lie across and touch both banks. It’s interesting how the area surrounding Bemidji is generally hilly… but you head north, and the pine and hardwood forest covered hills and lakes turn into a giant, flat, bog covered basin that encompasses nearly all of north-central MN. Red Lake is at the center of this. One more little tidbit: Lakes Manitoba and Winnipeg are the remaining bodies of glacial lake Agassiz. I thought the mammoths drank it all up. Then they went south to pee. It was isostatic rebound that drained the lake. 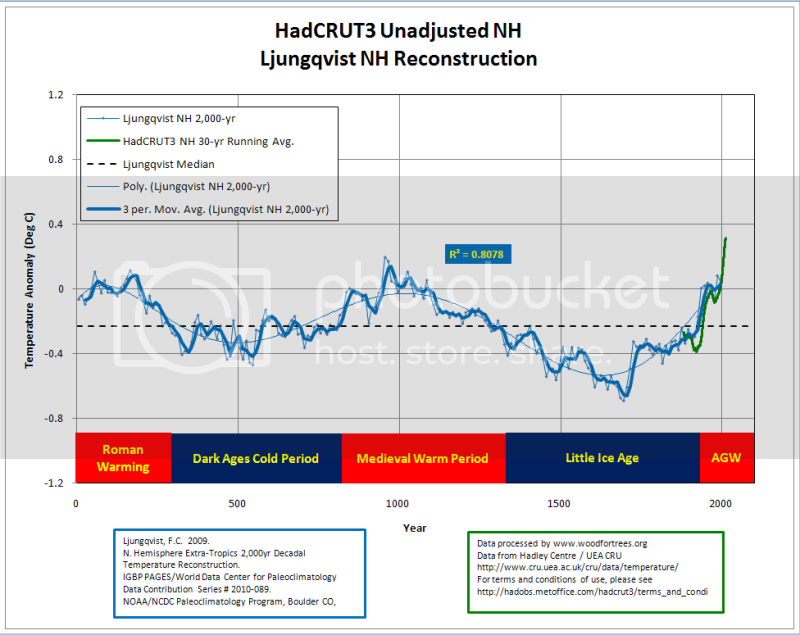 I’ve not heard anywhere of any rate of rebound, but I strongly suspect it was rather slow (in human terms), at the rate the ice was thinning. One problem with quantifying the amount of uplift is that much of the rebound took place while the ice was thinning so that much of the rebound had already taken place by the time glacial Lake Agassiz started to form at the south end of the melting glacier. It’s been estimated that three-quarters of the total rebound occurs while the glacier is still thinning, before it has disappeared. If true, this says that not so much isostatic rebound happened after Lake Agassiz formed, perhaps only about one-quarter. And at what rate was it rebounding at its peak (during the thinning, I expect)? And how representative was N Dakota in terms of the ice sheet thickness and isostatic rebound, not to mention Lake Agassiz? If about 62% of Hudson Bay’s thickness, then one would assume the weight to be about 62%, suggesting the isostatic rebound was about 62%, too. And does he give any numbers on this? At least 935 feet of recovery (isostatic rebound) has been recorded by these strandlines. By determining the age of these strand lines, and by subtracting the apparent component of uplift due to relative sea level fluctuations, geologists have been able to measure rates of isostatic rebound. The rates of uplift have declined from a maximum of 33 to 39 feet per 100 years immediately following deglaciation (8,000 years ago at Hudson Bay – in North Dakota deglaciation occurred about 5,000 years earlier) to a current rate of about 4.3 feet/100 years. Now, if even at its maximum the rebound was only 4 inches a year (33/100 = 1/3 of a foot per year), it brings up the possibility that Lake Agassiz slowly emptied itself. No outrush was required. And evaporation would not be a significant factor. 4 inches a year doesn’t even portend a dam eroding till it gave way. With Hudson Bay taking 5,000 years less time to rebound and Lake Agassiz straddling the distance between ND and Hudson Bay, the lake’s average would be about midway between the ND rate and Hudson Bay’s rate. Therefore, the average of the maximum rebound rate for Lake Agassiz would have been something on the order of half or less of that 4 inches per year. Clearly, no Scabland-like wall of water was necessary to empty Lake Agassiz. Not the whole story, AGF. If the stress is reduced gradually, the elastic rebound – though instantaneous – proceeds as gradually. Pound of pressure per pound of pressure, as I understand it. If it took 10,000 years for the ice sheet to melt, then the elastic rebound portion of it all took that long to drop to nil. 10,000 years (my number pulled out of my rear end, not theirs) would result in 8,000 ft/10,000 years = 0.8 feet per year less weight of ice. I wonder if they figure the inelastic rebound from the end of the melting or the beginning? If not the beginning, I’d wonder why not. I think Thomas Lowell should look at the geology and size of the river valley of the Minnesota River from Brown’s Valley to the confluence of the Mississippi. And then compare the sizes of the Upper Mississippi and Minnesota Rivers to the combined rivers known as the Mississippi River from Fort Snelling to the Gulf of Mexico. What caused the noticeable difference? Evaporation? Nah. I don’t think so. But I suppose I should read his thoughts before really “damming” him. I don’t think this is correct. As Bryan Short mentioned above, the Lake drained south through the River Warren until lake levels dropped enough so that the weight of the water was pushing against the glaciers over Hudson Bay and the Lake wasn’t high enough to overflow the continental divide at Traverse Gap Minnesota. You can trace all these glacier meltwater outflows through the relief maps to this day. This is a nice one for the River Warren. Glacial Lake Superior and Glacial Lake Michigan also emptied through the southern part of this channel. At Chicago, they built a canal to move ships from Lake Michigan to the Mississippi over a similar divide. Traverse Gap, the north-south continental divide where Lake Agassiz literally ended. Once lake levels were below this level, it drained into Hudson Bay which is nothing but downhill and always has been. Once the glaciers melted enough, the Lake basically occupied Hudson Bay. Eventually, the fresh water broke out into the Atlantic but it was not the cause of the (much smaller than thought) Younger Dryas which has been way overblown by the usual suspects. Other glacial meltwater outflow channels would include Lake Champlain (until the St. Lawrence opened up). Large size slow download relief map of the US which should be clear enough to see where the glacial outflow waters went when they were blocked by glaciers to the north. I don’t know if it is a valid comparison, but you might look at the pluvial lakes of the Great Basin — Lake Manley, Lake Bonneville, etc. The innumerable mountain ranges in the area complicate things, but basically. the handful of lakes that remained by the time that Europeans reached the area — Great Salt Lake, Owens Lake, etc are the remains of much larger lakes that shrunk through evaporation. But direct transformation from solid to gas is sublime. There are valleys in Saskatchewan that once flowed much more water than they do now. In the Qu’Appelle valley once ran a great river. Similarly the Saskatchewan once obviously flowed much more water than it does now. The natural drainage existed and you don’t need evaporation to explain how Lake Agassiz drained. To all those questioning how the lake could have increased surface area while draining : the lake level could have been high relative to nearby lowlands, and a breach (due to whatever) could have caused the lake to drain into nearby lowlands – thus lowering its level (height) while increasing surface area. Think of a tall, narrow glass of water with a small exposed surface suddenly spilled on the countertop – the glass might be quickly picked up and remain partially filled – meanwhile the entire countertop is now covered in water – resulting in a tremendous increase in liquid surface area for a comparitively small reduction in level (height) within the glass. impact struck the glacier and (without details) ultimately redirected meltwater, of which now there was a new immense quantity, into the St. Lawrence river system via the Great Lakes. And this sudden immense influx of glacial water into the NA interupted the Gulf Stream and shut down the AMOC. Good theory with good supporting vidence, but still not conclusive. Anyone else notice that Lowell looks just like Leif Svaalgard ? Great Salt Lake . . . shrunk through evaporation. The lake expanded because the extreme amount of sediment in the melt waters. There are hundreds of feet of sediment over the bedrock here. Here at my house I can dig down 50 feet and you find nothing but the most wonderful small grained beach sand you could ever want. The largest rocks are no bigger than the eraser on a pencil… which occur in sporadic lenses throughout the layers. When we dug in a well, we had to deal with sand in the water blasting our dishes and then getting baked on by the heating element in the dish washer for about a year. The lake was “filling in” so fast that even though it got shallower, it expanded greatly in size. This is why the Red River Valley area along the border of ND and MN is one of the flattest areas on earth. In any case, evaporation or not… some of the lake most definitely drained into Hudson Bay.. as the river systems do today. I’ve never heard of it draining into the St. Lawrence Seaway… there is no evidence of rivers moving from Agassiz to Lake Superior. The continental divide runs just south of the lake shore in northern Minnesota and would have kept the water from flowing that way. Instead, it seems most of the water flowed either through the glacial river Warren into the modern day Mississippi or through the current channel into Hudson Bay. 14 papers to be presented, five days from now. Geology is fascinating to me, there is still so much to be understood. The lake may not be as deep now, but it is still wet. I have long wondered if the Younger Dryas “needs” a special explanation. By this, I mean to ask if it was really any different fundamentally from the rapid cooling following earlier Dansgaard-Oeschger warm periods during the last glacial period. Was the warm period before the Younger Dryas just a larger D-O event? It seems entirely plausible to me that D-O events can “kick” the climate from a glacial state to a non-glacial state, much like impulses that try to push a pendulum over the top and into a different cycle. There were many D-O events in the last glacial period that ended in a fully cold climate; possibly the D-O event before the Younger Dryas just failed to make it “over the top”. Of course, even if correct, this just pushes the question back one level: what caused the start and end of the D-O events? Some 5.9 million years ago the Straits of Gibralter opened and closed its access to the Atlantic Ocean, and the Mediterranean Sea evaporated several times. This left a scorchingly hot valley up to three miles deep. This tremendous depth resulted in an atomspheric pressure up to 1.7 times that of today’s mean sea level. The massive increase in air density heated the air and made it far more forceful along the evaporite valley floor. As the opening to the Atlantic Ocean reopened and reclosed, the repeated cycles of evaporation deposited evermore salt and other evaporites. One news report claimed a human footprint had been discovered in this evaporite. I’ve often wondered how the depositon of the evaporites may have affected the oceanic salinity, thernal currents, and the Miocene climate? Today the Souris flows into the Assiniboine which flows into the Red River which empties into Lake Winnipeg, the remants of Lake Aggasiz. Note the proximity of the southern bend in the Souris River to the Missouri River. Note we’re talking the prairies here. Flat. You can watch your dog run away…for three days. You can see Regina from Winnipeg. Stand on a can of tuna, and you can see Calgary. Stand on a foot stool, and you can see the Rockies. When you go for a drive in the country, there’s a tree on the horizon. Where? Which part of “horizon” are you not understanding? Turn slowly in a circle and you’ll see it at some point. The 1997 “Flood of the Century” was (if I recall correctly) about 10 meters above flood level and created a lake larger than some of the Great Lakes – in area. It doesn’t take much extra water (or a bit of isostatic rebound) to cause the water to spread out to 7 times its normal area. I grew up on the Souris and recall high school geography classes where evidence that the Souris once emptied into the Missouri being discussed. Seems to me that’s a more likely drainage point than evaporation or the St Lawrence. I mapped Precambrian geology in central-northern Manitoba in the late 50s and early 60s and came across a hitherto undiiscovered beach strandline that was a chain of dunes eerily standing in the silence of a boreal forest. This must have been the last stand of Agassiz before it rushed out into Hudsons Bay. The numerous concentric lowered beaches are unmistakable evidence of periodic rapid outflows. Evaporation would not produce these features. You would rather get broad flats as with the present remains of Lake Bonneville, that of Great Salt Lake. Sorry Dr. Tyrell, you are wrong. Never mind Greenland, go to Carbery, Manitoba and look at the large abandonned sand delta high and dry in the middle of the prairie wehre the Assinniboine used to enter L. Agassiz. Stop destroying knowledge. The same fate which struck Lake Agassiz in Northern America some 12000 years ago might have happened to what is known as Taklamakan Desert in Central Asia today. If you look closely, this pot-like desert, surrounded by two of the highes mountain-ranges in the world, makes up for a marvellous meltwater-lake at the end of the last Ice Age, once the surrounding glaciers started melting. But when the melting of these glaciers litterally “dried out”, evaporation got the upper hand and, over milleniums to come, the lake completely evaporated again and finally exposed it’s sandy seafloor, today known as Taklamakan desert. That would explain several of the mysteries of the development of mankind in Asia, too – as a lot of people came out of nowhere and literally burst into existence from an unknown beginning way out in the East some 8000 years ago, to finally populate eastern and northern Europe – an unresolved mystery, which is driving european anthropologists mad for centuries, already. Did the ancestors of those people live on the shores of a then-huge and splendid Lake Taklamakan – which might have been more of a freshwater-ocean back then – until it disappeared before their very eyes and made them fugitives before the ensueing drought…? Is this an impossible scenario? Nope! It happened before – see Lake Agassiz back then – and is happening again right now, while we watch: See the vanishing of Lake Aral in Asia today. What do you think? Opinions wanted! The links provided by Bill Illis, John F. Hultquist & davidmhoffer took me on a journey of discovery for 2 hours and as a consequence i believe Professor of Geology Thomas Lowell may be barking up the wrong tree. Nevertheless, his work is to be applauded and I look forward to learning more in a few days. Shallower with a bigger area? These two facts do not go together unless an area geomorphological change happened. Isostatic readjustment happens too slowly to have caused this I think. 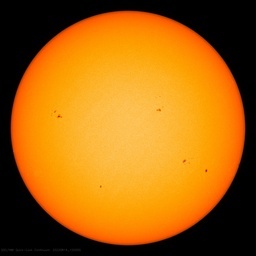 One of the oft mentioned global warming bogeymen is the possibility of a “Thermohaline Catastrophe”. If too much fresh meltwater was suddenly dumped into the North Atlantic, the “conveyor belt” current would shut down… The so-called Thermohaline Circulation (THC| catastrophe theory. This “theory” died a decade ago; yet the THC bogeyman lives on I’m the media. In Geological Perspectives of Global Climate Change (2001), Wallace Broecker, the father of the THC catastrophe theory, wrote that “the threat (of an anthropogenic thermohaline catastrophe) will be far smaller than previously envisioned.” Broecker’s epiphany was likely inspired by Gerard Bond’s demonstration that Dansgaard-Oeschger-type events continued throughout the Holocene. The best evidence for a past THC catastrophe had always been the Younger Dryas mini-ice age during the Pleistocene-Holocene transition. For quite a long time it was believed that the failure of an ice dam holding bake glacial Lake Agassiz in Canada had dumped so much water into the North Atlantic that it shut down the “conveyor belt” and caused a THC catastrophe. About the same time as Broecker’s epiphany, Gosler et al. (2000) demonstrated the Broecker’s THC “smoking gun” radiocarbon signature was present in lake sediment cores. In 2005 Thomas Lowell published a paper in Eos, demonstrating that the Agassiz ice dam failed well after the Younger Dryas… Testing the Lake Agassiz Meltwater Trigger for the Younger Dryas, Lowell, EOS, October 4, 2005. This particular AGW myth lives on, despite having been killed about a dozen times since the mid-1990’s. The Warmists don’t have the slightest clue as to how the pre-industrial climate behaved, yet they are certain that industrial era climate change is unprecedented. The winds at that latitude blow from west to east. How could a failure of the thermohaline in the Atlantic, cause massive cooling in the middle of the N. American continent? I’ve read recent studies that claim that the Gulf Stream only adds a small amount of warmth to the European continent, and almost all of that is confined to coastal regions. My Uncle, a native Minnesotan, pointed out a unique geological feature of that State. Minnesota has 3 distinctive watersheds. *The Mississippi headwaters start fairly high up in the state, then wend their way south to the Gulf of Mexico, gathering in the Ohio and Missouri rivers and thereby draining most of the central US. * The rivers along the upper northeast portion of Minnesota drain east into Lake Superior, and ultimately through the great lakes and out to the Atlantic Ocean through the St Lawrence. * The Red River of the north forms part of the boundary between Minnesota and North Dakota. This river flows northward into Canada and ultimately into the Hudson Bay (which takes it through the region discussed in the posted article). I know of no where else in the US that has this unique 3 watershed feature. Which gives some credence to the various proposals and possibilities for Lake Agassiz draining so many different ways. Interestingly, the spring flooding in parts of North Dakota seem to be related to thawing in the US earlier than farther north, which may still be ice jammed on the way to the Hudson Bay. Makes me wonder if that could have happened on a larger scale as the ice retreated north of Lake Agassiz long ago. Eventually, the fresh water broke out into the Atlantic but it was not the cause of the (much smaller than thought) Younger Dryas which has been way overblown by the usual suspects. Would you explain? Is there a standard explanation for the Younger Dryas that is offered up by warmist? In the Younger Dryas Event, Greenland temperatures declined by 4.0C, Antarctica declined by 2.0C, the north Atlantic declined by 1.0C and global temperatures declined by 1.0C. If freshwater outflow from Hudson Bay/Lake Agassiz caused it, then it did it 25 times in the last ice age, not just once. Greenland just had significant climate variability which are commonly called the Dansgaard–Oeschger events and the Younger, Older and Oldest Dryas events were just one of those. A certain person is most responsible for overblowing how much temperatures changed in the Younger Dryas. I can’t picture a gentle uplift of land, even if the weight of the Laurentide Ice Sheet “gradually” melted. Wouldn’t the rebound have taken place in a series of earthquakes? From Ferdinand Enlebeen’s post above, it seems the southern terminus of the sheet was some 500 vertical meters, and if only the top 50 meters were above the lake level, glacier calving would have been quite a splash. Wouldn’t these events in summers, along with the icebergs they spawned, have been sufficient to send water cascading over any moraines representing the lake edges? Thank you. So… the mechanism they propose is the “thermohaline catastrophe” outlined by David Middleton, 4:03 am, above? Cool points about the three watersheds in Minnesota. I would suggest that Pennsylvania also has three watersheds. The NW empties northward into Lake Ontario and Lake Erie, the east empties out to directly to the Atlantic, and the center-west-SW drains to the Gulf of Mexico via the Ohio and the Mississippi. While they all eventually end up in the Atlantic, they do it in three far different ways. I like your addition about the Pennsylvania watersheds, and will add that to my informal list of interesting trivia. I assume the glacier melt was world wide? if so I can see other theories in there, maybe this was when the `English channel opened up?? it could be so many things that to postulate a concealed water passage to the sea for just some of the ice cap melt seems a bit like grabbing at straws! and yes the 7 times surface area bit worries me too, but as it says it got colder to the melt would slow and the lake would loose its feed, no real mystery is there? A isostatic rise of four inches a year is no small thing. The fact that this rise, over 900 feet in places, is measured by “strandlines” tends to suggest that things stayed in one place long enough to make a line, before a quake changed the status quo to the level where it stayed as the next line was made. Even now , thousands of years after the ice is gone, I have experienced weak quakes in both New England and Scotland that were explained as isostatic uplift still occurring. I cannot help but wonder if the quakes back when the land was rising four inches a year might have been quite dramatic. If the lake bed remained quiet for only three years, tension would build up enough to jolt the lake’s bottom up a foot, all at once. That would have made quite a slosh, I imagine. If one slosh caused vast amounts of water to drain away, even if it merely drained from one area to another, that would reduce the weight oppressing the crust in the drained area, leading to the next quake. One can even envision a series of quakes and drainings occurring in a compressed period of time, rapid fire, each causing the next. Boating on Lake Agassiz might have been interesting. Dude, those are PR press releases by Thomas Lowell prior to the GSA meeting in Minneapolis, promoting a nutty idea. Very few, if any, among the geological community subscribe to this notion. Any time you read alarmist warnings that global warming could trigger an ice age, they are referring to a thermohaline circulation disruption (AKA THC catastrophe). A THC catastrophe forms the central plot line of The Day After Tomorrow. Dennis Quaid’s character was supposedly very loosely based on Wallace Broecker. Bill Illis is correct in his characterization of the Younger Dryas stadial and other Dansgaard-Oeschger-related events. The amplitude of these events was greater during the last glacial stage of the Pleistocene than they have been in the Holocene; but the magnitude expressed in the Greenland ice cores is at least four times as large as the global magnitude. The cooling of the Younger Dryas wasn’t that anomalous; but the warmth of the preceding Bølling-Allerød interstadial appears to have been very anomalous… As warm as the Little Ice Age in Central Greenland. During the last Pleistocene glacial stage, the D-O events had a period of ~1,470 years and an amplitude of 10° to 20° C in Central Greenland (~2.5 to ~5.0° C globally). During the Holocene, the D-O equivalent cycle (Bond Events) has had a period of ~1,000 years with an amplitude of 1.0° to 1.5° C in Central Greenland (~0.25 to ~0.50° C globally). The Medieval Warm Period, Little Ice Age and Modern Warming (AKA AGW) are all explained by the Holocene equivalent of the D-O cycle. The warm-up from the nadir of the Little Ice Age has probably been enhanced by ~0.1 to ~0.2° C by anthropogenic activities… Although the temperature drop from the peak of the Medieval Warm Period to the nadir of the Little Ice Age was very sharp and deep. Some of the possible anthropogenic warming may simply be part of the climatic rebound from the Little Ice Age. Given the size of Lake Agassiz and the fact the glaciers were melting and calving not to mention uplift and possible earthquakes…. What is there to say that the lake was not draining from more than one point all at the same time? Or perhaps a bit of alternating as the glaciers melted and refroze in places. Seems to me that things would have been rather unstable. And then there were the Giant Beavers (GASP) I have a beaver dam a good five feet high on my property that has turned a little creek into a decent sized pond and shunted the water into another closeby creek. Yansa and University of Wisconsin-Whitewater colleague Peter Jacobs recently analyzed material drilled from the jawbone of a giant beaver that had been unearthed at a farm in southeastern Wisconsin. Carbon dating showed that the creature lived around 14,500 years ago, she reported October 19 at the annual meeting of the Geological Society of America. Pollen and plant fossils from sediments surrounding the jawbone suggest that the environment at the site then was cold and marshy with few trees…. The Younger Dryas is somewhere around 12.8 and 11.5 ka BP so that particular beaver would have been prior to the Younger Dryas by a couple thousand years. It does indicate that area of Wisconsin was cold and marshy. (…). I would suggest that Pennsylvania also has three watersheds. The NW empties northward into Lake Ontario and Lake Erie, the east empties out to directly to the Atlantic, and the center-west-SW drains to the Gulf of Mexico via the Ohio and the Mississippi. While they all eventually end up in the Atlantic, they do it in three far different ways. Not hardly. The main watershed is the Susquehanna River, which drains into the Chesapeake Bay, which covers the center of the state very well. The Susquehanna River is a river located in the northeastern United States. At 464 miles (747 km) long, it is the longest river on the American east coast that drains into the Atlantic Ocean, and with its watershed it is the 16th largest river in the United States, and the longest river in the continental United States without commercial boat traffic. It flows through three states: New York, Pennsylvania, and Maryland. It forms from two main branches, with the “North Branch”, which rises in upstate New York, regarded by federal mapmakers as the main branch. The shorter West Branch, which rises in western Pennsylvania, joins the main stem near Northumberland in central Pennsylvania. The river drains 27,500 square miles (71,000 km2), including nearly half of the land area of Pennsylvania. The drainage basin (watershed) includes portions of the Allegheny Plateau region of the Appalachian Mountains, cutting through water gaps in the lateral mountain ridges in a broad zigzag course to flow across the rural heartland of southeastern Pennsylvania and northeastern Maryland. The river empties into the northern end of Chesapeake Bay, providing half of the Bay’s freshwater inflow. Chesapeake Bay is in fact the ria of the Susquehanna. Geologically the river is extremely ancient, often regarded as the oldest or second oldest major system in the world. It is far older than the mountain ridges through which it turns, most of which were formed in uplift events of the early Cenozoic era. Like the Hudson, Delaware and Potomac rivers, the basin was well established in the flat plains that existed during the Mesozoic era. Before the end of the last ice age, the Susquehanna was a much longer river. Chesapeake Bay constituted its lower valley before it was flooded by rising waters at the conclusion of the Pleistocene, a formation known as a ria. Very old, very well-established, sometimes very angry. As a lifelong Pennsylvania resident living near the river, sometimes affected by its moods, I would be remiss in not pointing this out. Thus it may be considered four watersheds, the Susquehanna, the small eastern part that goes into the Deleware River (followed by the Deleware Bay then the Atlantic), with the small western bits draining somewhat like you said. in glacier park in montana there is a peak (naturally named triple divide peak) that according to the highway signs, if a drop of water were to fall precisely on the top of the peak 1/3 of it would flow to the pacific via the columbia, 1/3 of it would make it to the missississisissipppppi river and the gulf of mexico and 1/3 to hudsons’ bay. The principal points emphasized here are: 1) that the earliest levels of Lake Agassiz built shorelines on stagnant ice well above the Herman level, 2) that two outlets across the Mesabi Range controlled Lake Agassiz for a portion of its early history, 3) that the highest Herman shoreline was formed as outlets to the Superior basin were uplifted until the southern outlet to the Minnesota River was re-occupied, 4) that Lake Agassiz was lowered from the high level Lockhart Phase to the low Moorhead Phase by the opening of outlets to Thunder Bay and on to the Atlantic from 10.9 to about 10.3 ka, 5) that drainage to the Arctic Ocean via the Clearwater River in Saskatchewan maintained low levels from about 10.3 to 9.9 ka, 6) that a readvance at the start of the Emerson Phase at 9.9 ka, which blocked western and eastern outlets, returned drainage to the southern outlet and hence the Gulf of Mexico by raising Lake Agassiz to the Norcross level, at which time the upper fossiliferous fill of valleys along the western shore was deposited, 7) that the southern outlet was eroded to the Campbell level for the first time during the Emerson Phase, 8) that a brief episode of eastward outflow in late Emerson time ended with a rise to the lower Campbell shoreline and deposition of another alluvial fill, and 9) that the Morris Phase history of the lake, after final abandonment of the southern outlet, involved drainage to Lake Nipigon and, in the very late history of the lake at about 8 ka, a possible brief episode of northwestward drainage through Wollaston Lake, probable direct drainage to northeastern Lake Superior, confluence with Lake Ojibway, and final drainage eastward to Hudson Bay. This study says that Lake Agassiz has drained and refilled more than once and it drained to the south, east and to the north…. Perhaps the remnants of Lake Agassiz were dried out by evaporation and sedimentation but to think the entire lake evaporated given evidence of drainage basins is a bit hard to swallow. Especially when you consider it was filled by melting from a continental ice sheet as much as ten thousand feet thick. Also if a lake of that size was evaporating you would be pumping a huge amount of water into the atmosphere. I do not think the local weather would be all that “dry”. But then you would expect geologist to be down to earth in their views. I’ve spent some time in recent years exploring and reading about the Salt Lake Valley. The former Lake Bonneville drained out through the Snake, leaving a smaller lake that was still somewhat bigger than the Great Salt Lake of today. You can go around the valley and find geological evidence of the old lake levels. As the climate dried out in the Salt Lake Valley, a process of evaporation set in which resulted in the concentration of minerals in the lake water. In some places where the lake receded altogether, “salt flats” were left. The Bonneville Salt Flats are an example of that. So, If Lake Agassiz disappeared through evaporation shouldn’t some remnants of the lake, i.e. Lake Winnepeg, Devil’s Lake, etc., have high levels of water soluble minerals (salt, etc.) concentrated in their water, and shouldn’t there be salt flats and other mineral deposits left in places?